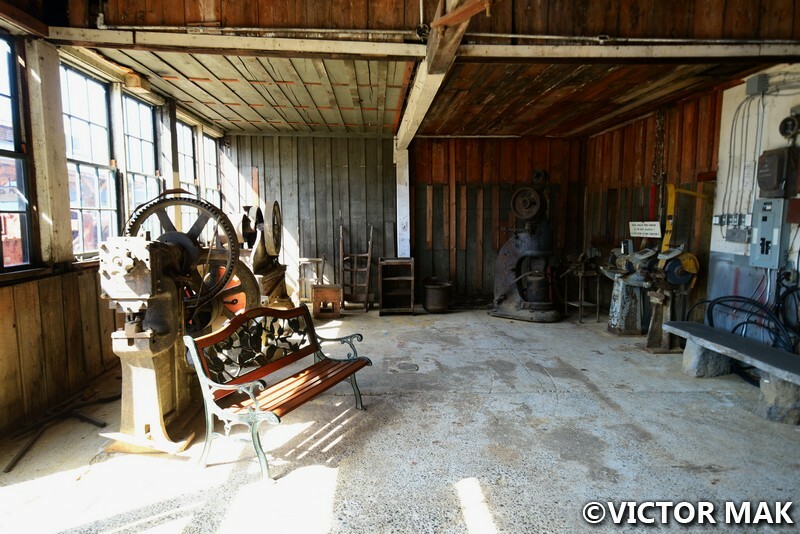 The Britannia Mine Museum is a National Historic Site overseen by Britannia Beach Historical Society. It’s about 35 miles north of Vancouver on the Sea to Sky highway on Howe Sound. 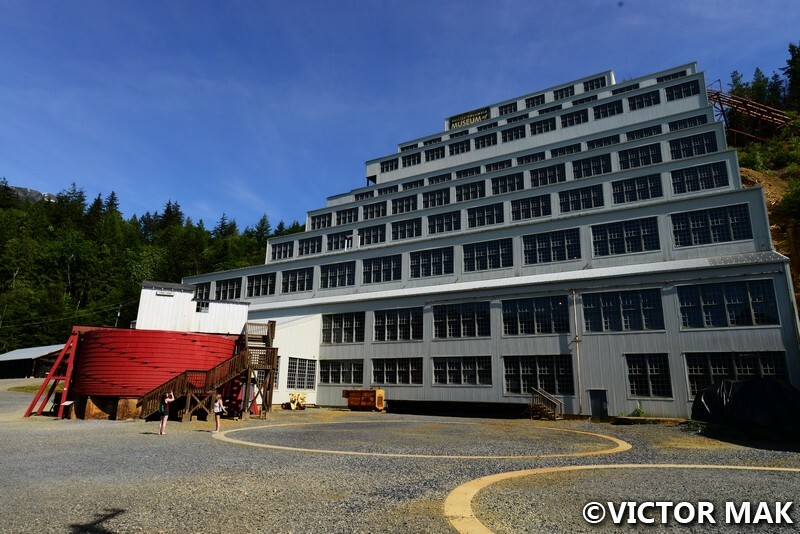 The site represents the mining industry of British Colombia. 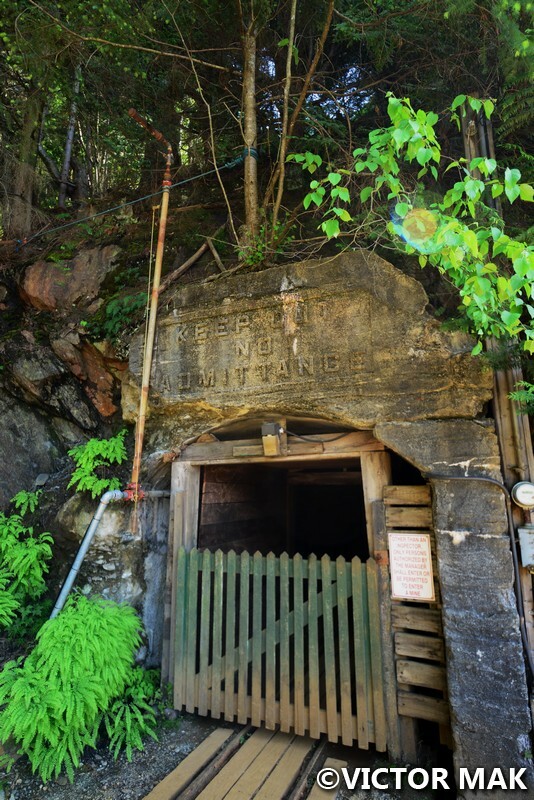 For about 70 years the mine was a source of copper and in the 1920-1930s is was one the largest mining operations in Canada. The areas population swelled during its mining heyday and had around 6000 residents and workers. Now there’s about a population of 300. There were no banisters, the museum installed them. 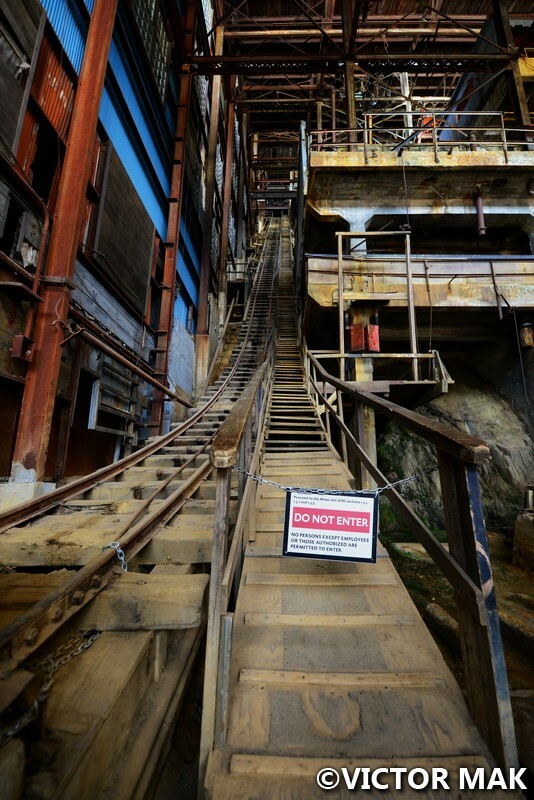 The miners had to walk up this without any railings. 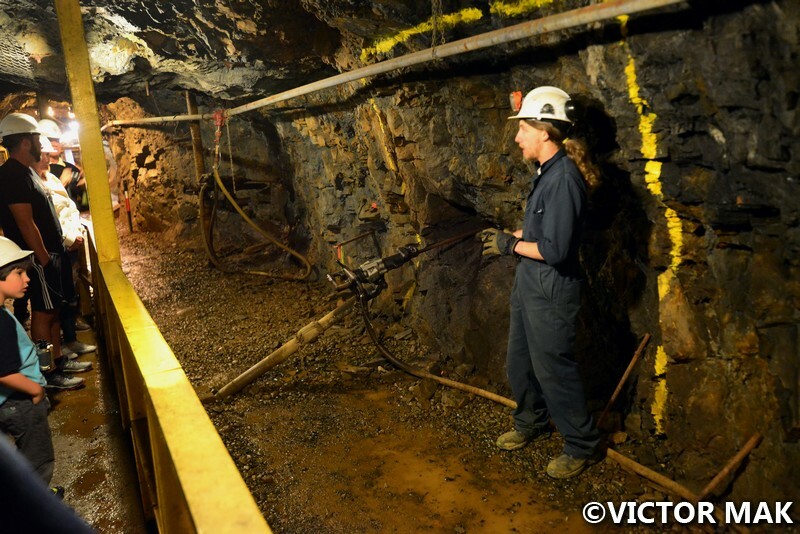 Ore was discovered in 1888 and operated from 1904 to 1974. 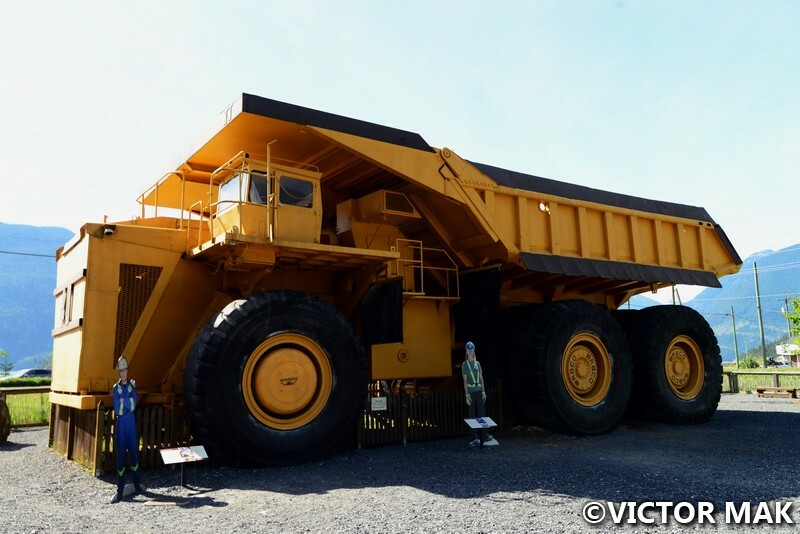 Over 50 million tons were extracted from the mine. They showed up the different types of headlamps used over the years. 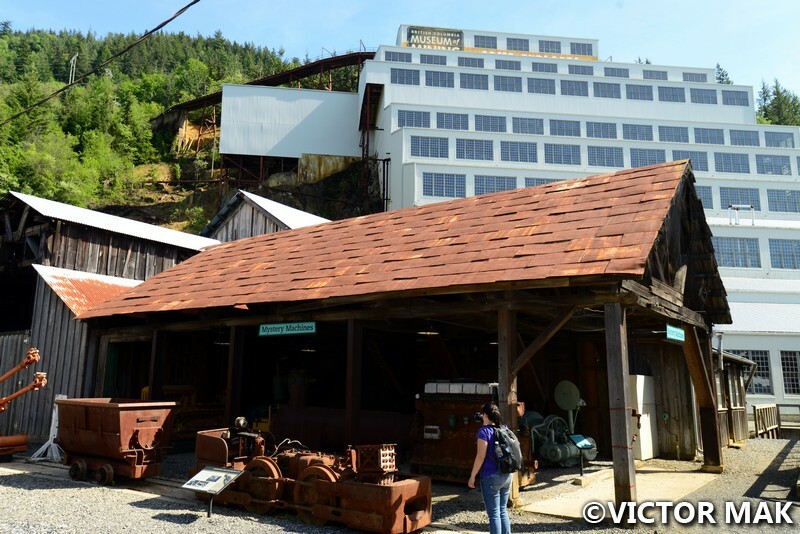 In 1975, the museum opened and was called the BC Museum of Mining. 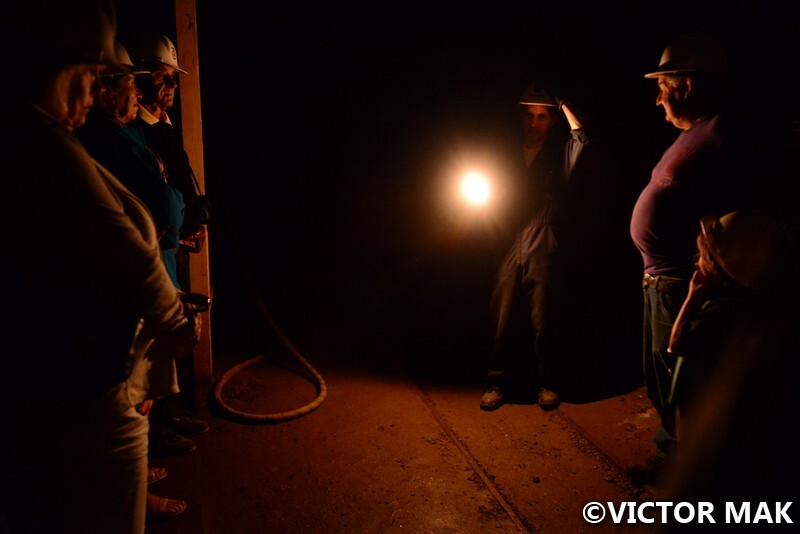 It was redeveloped for over $14 million dollars and renamed the Britannia Mine Museum. Due to the chemical waste that comes with mining, the area was very polluted. 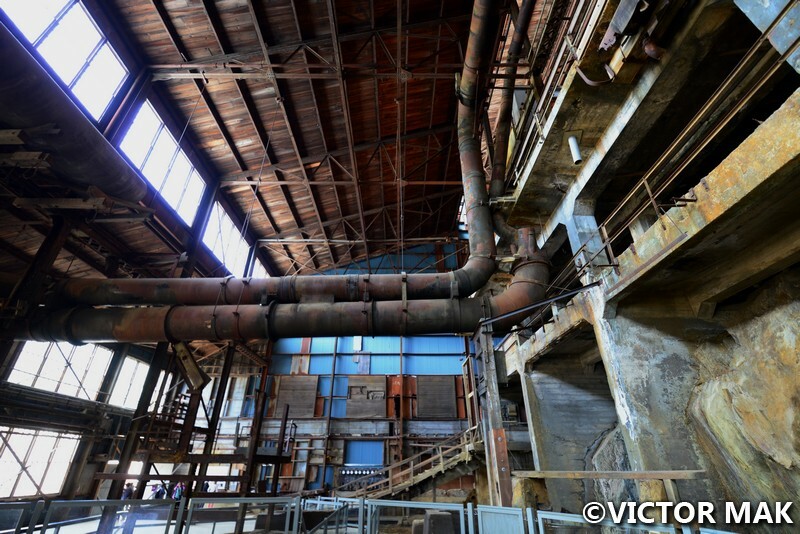 Even though the mine was closed, there was run off from the abandoned tunnels. While the clear water of Britannia Creek looked clean, it wasn’t fit for human consumption and the clearness showed no life was living in it. The University of British Colombia and Provincial Government reclamation project cleaned up the area. In 2006, a treatment plant opened to neutralize the mining runoff and is managed by EPCOR Utilities. 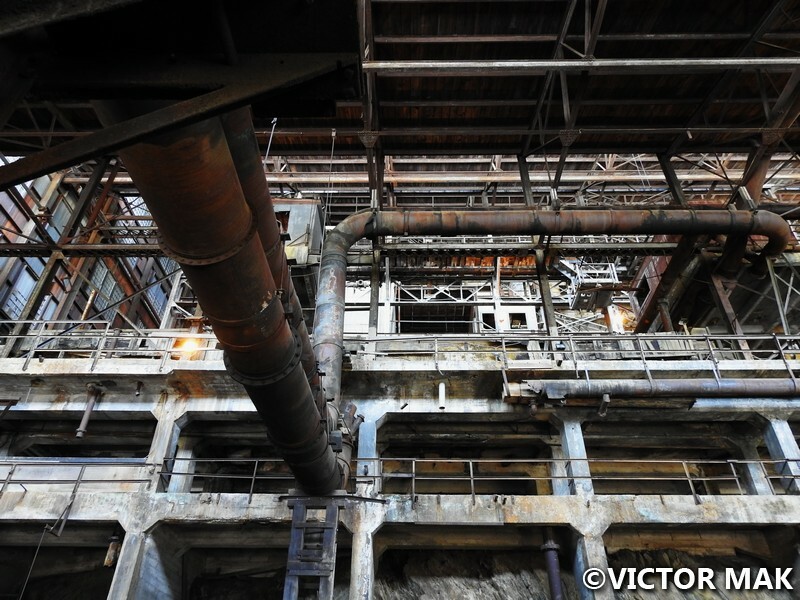 After the completion of the treatment plant, 90% of the of the pollution had been stopped. Pink salmon returned to Britannia Creek for the first time in over a century in 2011. Pacific white sided dolphins and killer whales can sometimes be seen in Howe Sound near the creeks outlet. 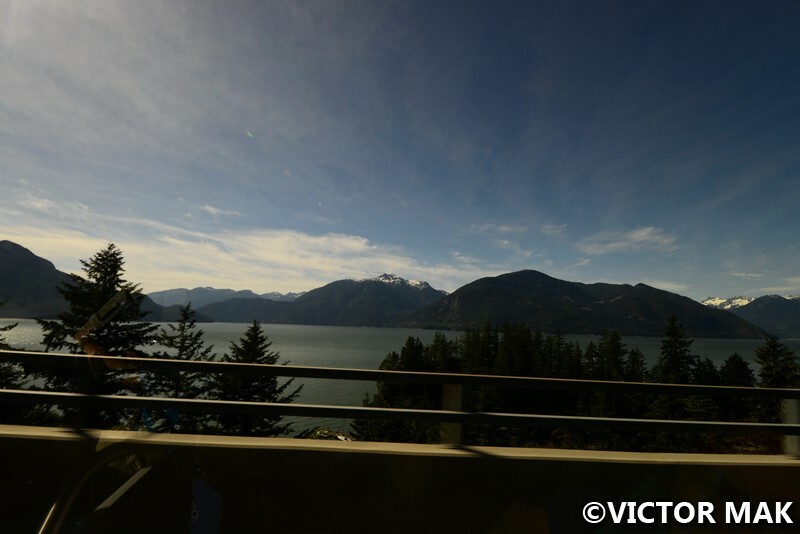 View of Sea to Sky highway from the bus. 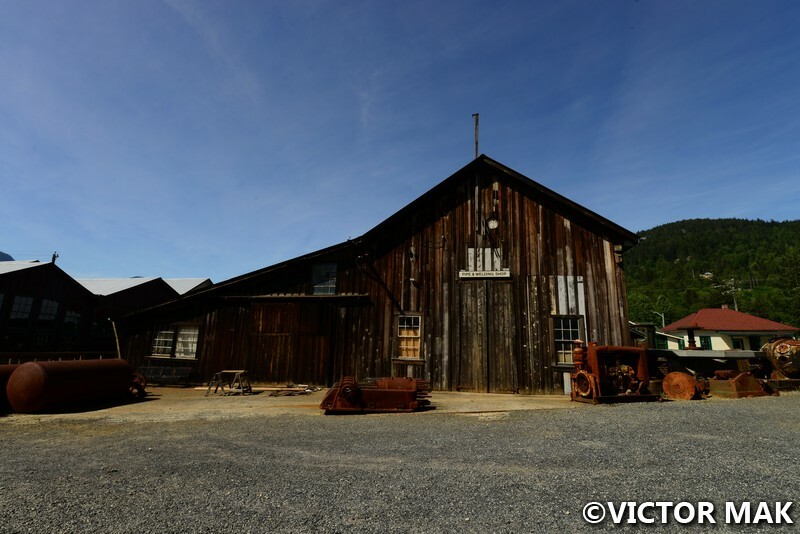 Posted on October 23, 2016 April 5, 2017 by jebusandandrea	This entry was posted in British Columbia, Canada, Industrial, North America and tagged BC, Britannia Beach, Britannia Mine Museum, British Columbia, Canada, Howe Sound, mining, Pacific Northwest, Photography, Sea to Sky, Travel, Vancouver, Vancouver Canada. Bookmark the permalink. Wow. Didn’t know about this place. Have to check it out. It was part of a package tour with Land and Sea Tours. It was really interesting. At first we kept thinking we should have skipped it so we had more time at Sea to Sky Gondola and Shannon Falls but it all worked out nicely. It is good to hear government took some action to clean up. Its a really pretty area so glad they cleaned it up. It’s hard for me to see present day logging, you can see some of that in the area too. I know, we do need mining and logging. I’m ok if proper guidelines are put in place so we don’t raze every old growth tree and protect the environment as best as possible. It’s not always the case. The BC area felt pretty eco friendly. Our guide in Victoria said that they are suppose to replant is they log. For a while the gov got rid of that and I think they reinstated that law again. Wow, I would have been creeped out at going underground! I’ve enjoyed exploring natural caves, but there’s something a bit haunting about old mines. Maybe it’s knowing people died down there, or just the fact they’re abandoned. There are similar areas in the US that still haven’t been cleaned up completely. We once stayed in Kellogg, Idaho, which used to be a copper and silver mining area but is now trying to rebuild itself as a resort town. It is a very lovely area in the mountains, but for awhile there was so much lead contamination, I was a little worried about drinking the tap water there. (I just drank soda and beer while we were there, though I’m sure those weren’t much better. :P) Recently I learned that the town now has just a third of its population from 2000, when we visited. The recession hit the area hard, and I kind of doubt tourism will provide enough jobs to support families. It was a cool tour. A very dangerous job. They did a great at explaining the history. I admit I kept checking the water safety for drinking. I’ve learned to always check and even when it says it’s ok I wonder if its really ok. I would have liked to check out that town. Sounds pretty cool. I like caves too. One of my friends moved near the Poconos in PA and there’s a mining tour by her. We may check that out one day.